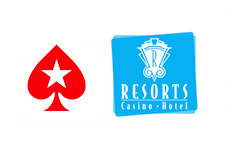 Pokerstars announced details of their Plan B to gain entrance in New Jersey's opening online gaming market on Wednesday, as the world's largest online poker site revealed that they have inked a deal with the Resorts Casino Hotel. Pokerstars' original plan was to purchase the Atlantic Club Casino Hotel for a reported $15 million. That plan fell apart after the Atlantic Club elected to look for another buyer after Pokerstars was unable to secure an interim casino authorization by April 26th. Atlantic Club claimed that the missed deadline allowed them to look for another deal - the courts agreed, and after Pokerstars lost an appeal earlier in the week, they elected to find another property to partner with. In the process of trying to close the Atlantic Club deal, Pokerstars lost millions of dollars as they were bankrolling the Atlantic Club's money losing operation. This is money that is now lost. Pokerstars doesn't want to be shut out of the New Jersey online gaming market, so they moved on to Plan B on Wednesday - a deal with the Resorts Casino Hotel. This deal will allow Pokerstars to offer online poker to residents of the state of New Jersey, provided that something unexpected doesn't take place. New Jersey's new online gaming bill states that only Atlantic City casinos can offer online gaming to the state's residents, which meant that Pokerstars would have been shut out of the market if they hadn't partnered with the Resorts Casino Hotel. Financial terms of the deal haven't been released. In addition, it's not known if Pokerstars will continue to battle the Atlantic Club in court or if they will drop the matter entirely.